How do you effectively run your business while traveling? Well, that is something I’m still learning how to do. There are many variables you deal with when you are on the road like finding reliable internet, trip delays, time zone changes and more. 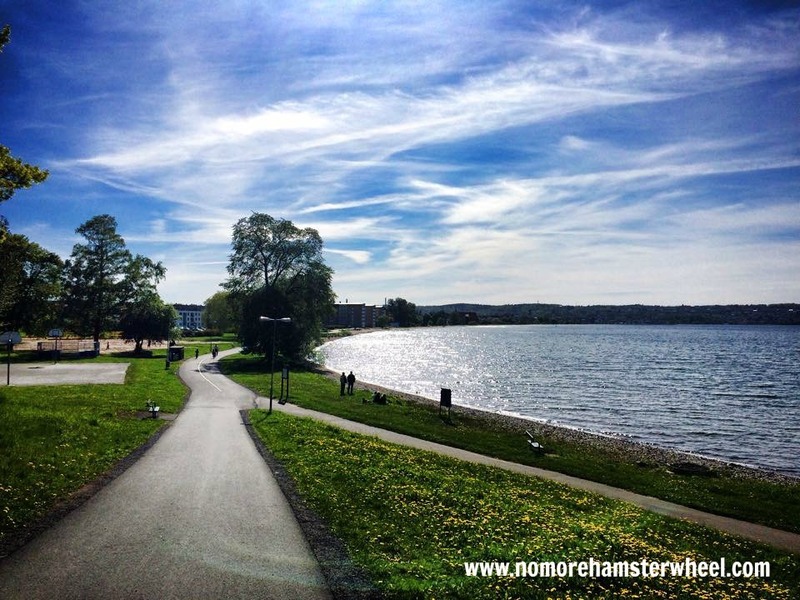 I recently got back from a three week trip to Sweden to visit family. I knew I wanted to spend some major quality time while there but at the same time I had to get work done, answer emails from coaching clients and stay on top of things like social media and more. I’m also going through an intense coaching program with Jaime Tardy, who is known for her ability to take people to the next level, but if you want to work with her and she accepts you as a client you need to hustle and put some serious time in! Least to say I had a lot on my plate but I was determined to make it all happen. So How Do You Get Everything Done While on the Road? 1. Learn beforehand to work from noisy places like coffee shops, airports and alike. Those may be your only access points to wifi when you travel. If you can’t work in noise, get a pair of Bose headphones (affiliate link). They will make your life a dream. 2. 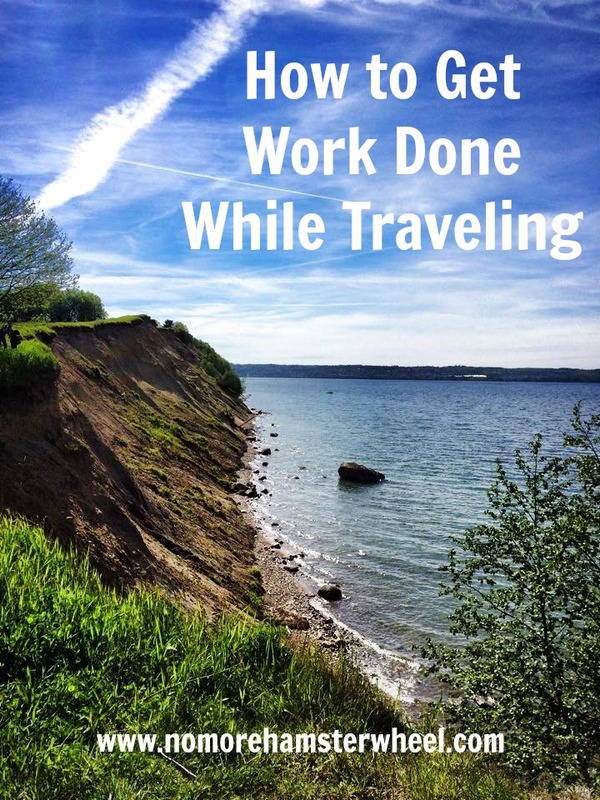 Get as much done before you leave on your trip. Before I left I wrote and scheduled a month’s worth of blog posts. I also wrote and scheduled all the emails that go out to my Get Stuff Done program participants. 3. Use automation tools like Buffer and schedule your social media posts ahead of time in bulk. That way you can just jump in and stay on top of things when you have internet access instead of worrying about what you should post about. 4. Follow the Parkinson’s Law. Schedule in short but hyper-focused work sessions so you can free up the rest of the day for fun and play. Make a list of must-do items that cannot wait and get them done! After all, you’re not across the globe or hanging out in a beautiful National Park to work all day. 5. Prioritize what is truly urgent and essential to keeping your business going so that when you have reliable internet access you can hammer things out and don’t waste it surfing Facebook. 6. Tell your clients you will be on the road and your response time may be longer than usual. Obviously if you are traveling non-stop or living out of a van or suitcase like Natalie Sisson you can have more of a day-to-day schedule but you will still run into internet connection issues, time zone changes and cannot always get work done when you thought you would. Learning how to work on the road effectively will be key. Practice going on shorter trips before you go on longer ones so you can learn what works and what doesn’t. One of the best resources I have that has become my go-to is Natalie Sisson’s book The Suitcase Entrepreneur: Create freedom in business and adventure in life. (affiliate link) That book contains so much great information it’s a must read for anyone who wants to run a freedom business while traveling. If you travel for work what tips do you have? If you don’t, got any questions that I may be able to answer? Please share in the comments. Great tips as summer trips begin!